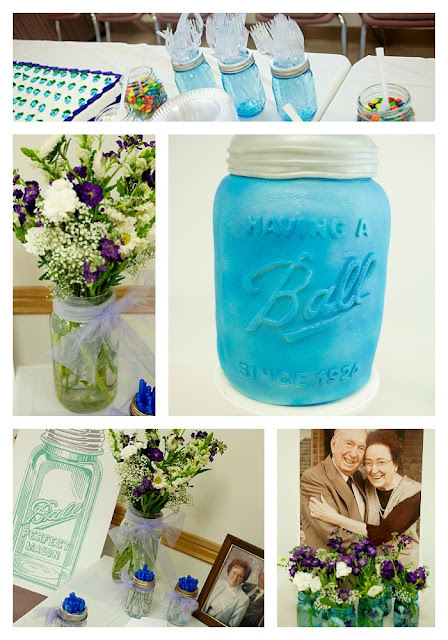 A while back I featured a fabulous mason jar cake that I am in love with. Now I want to feature the great mason jar themed party that accompanied that cake. I am in love with this entire party! Head over to see everything from invitations to napkins that have a mason jar theme. Now that is some serious mason jar love....don't y'all think?